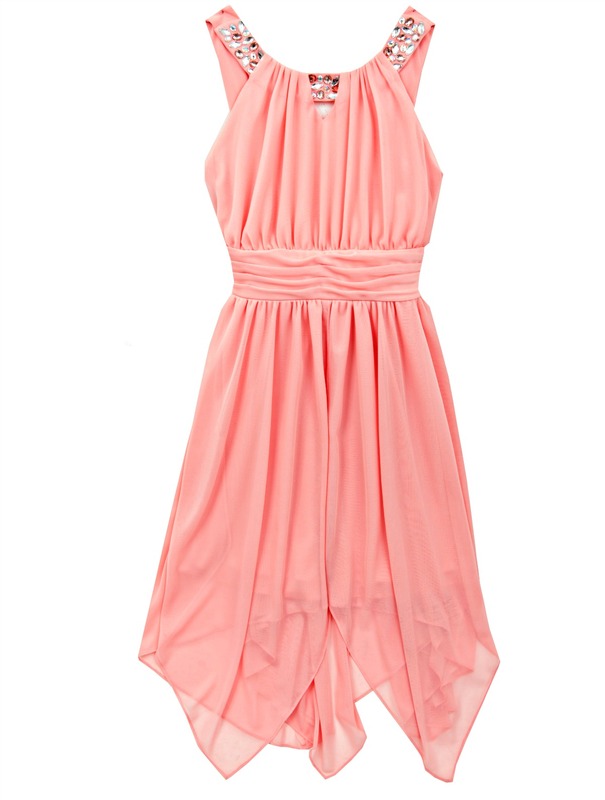 Stunning young girls peach chiffon u neck dress with faux gemstone neck detailing. Back zip. Dress is lined to knee length with a layered chiffon handkerchief style hem. Gorgeous!